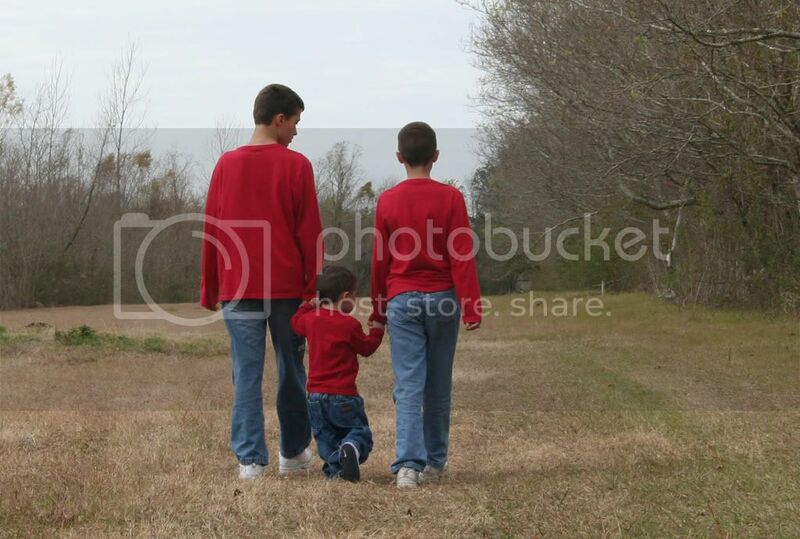 I love these pics of your boys in red! What a great photo! I hope you have it framed and proudly displayed somewhere, so cute! That's such a sweet pic! You should turn it black and white and just color in their red shirts! That would be a great pic to keep out forever!